The Nintendo 64 wasn’t exactly the console for fighting game fans. Smash Brothers eventually launched on it, but aside from that, there were slim pickings indeed. About the best of these slim pickings was a dark 3D fighter called Mace: The Dark Age. It was an attempt to bring the gore and violence of Mortal Kombat to a weapons-based fighter in the vein of Soulcalibur or similar. Related reading: Matt's favourite fighter is Dead or Alive. His review of the latest in that particular series. It was a clunky mess of a game, but one thing I really did like about it was the characters, which were a very varied bunch. There was a demon, an animated skeleton, a hulking executioner, a harem girl and, my favourite, an Arabian assassin. 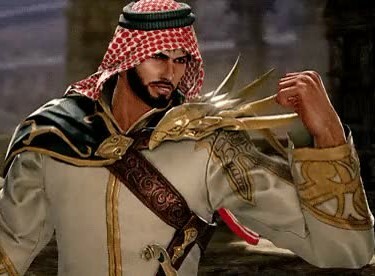 That character, Al Rashid, was a really cool dude, wielding dual scimitars and executing awesome looking combo attacks with them. I actually used that character name for my email addresses and online aliases, back in the day of online chats and such nonsense. Which brings me to Tekken 7. I’m not the world’s biggest fan of Tekken. This is partly because I don’t much like the combo system it’s based on. I genuinely like Dead or Alive, jokes aside, and I don’t see the two fighting games as particularly compatible with one another. 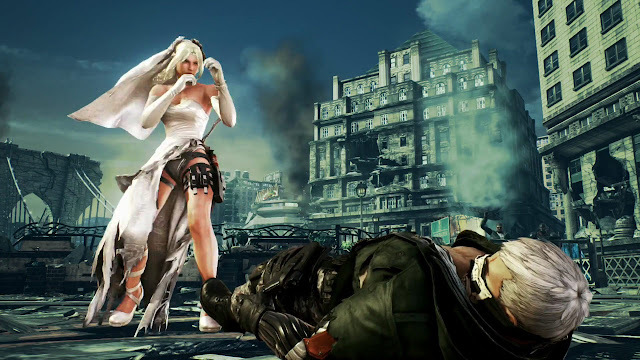 So, whenever I sit down to play Tekken, I find myself muddling around without really ever being comfortable with what I’m doing (and, all the while, wishing for a counters system of the quality that DoA allows). The other reason I’m not huge on Tekken, as a series, is its characters. 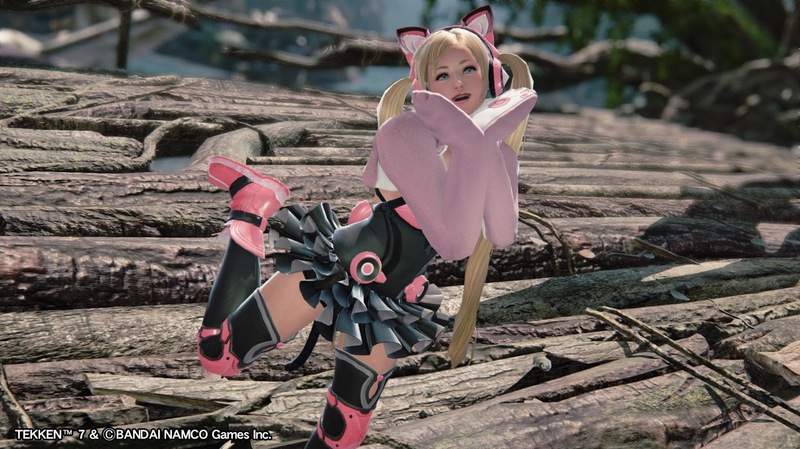 I’m more a Hitomi, Kokoro and Marie Rose kinda guy than a fan of the boxing kangaroo and weirder types that populate Tekken’s roster. Even the characters I would generally enjoy get turned into nonsense. Alisa is my kind of character, usually, but in Tekken she takes her head off and tosses it at opponents as an attack. All fighting games are ridiculous, of course, but there’s a point where the ridiculousness becomes a kind of childish silliness that I have less patience for. And then there’s Lucky Chloe, a cat girl who is about as silly as silly comes in terms of her behaviour and characterisation. I usually like cat girl characters - Uriko in Bloody Roar was a favourite - but again, here the developers just tip a touch too far and I find the overall experience juvenile. That being said, I did love the director’s response back when Lucky Chloe was first unveiled. Fans in America threw a tantrum, and Katsuhiro Harada’s response was just classic. "Are you 'Western' only one bulletin board? Hello small world. I'll make muscular & skinhead character for you," he tweeted. For these reasons, I’ve not generally followed the development behind Tekken 7. I didn’t actually know there was another new character, Shaheen, in the game. After getting some hands-on time with him for the upcoming PlayStation 4 port of Tekken 7, I’m much more positive about the game in general; finally, a character I actually like. Shaheen is the series’ first Saudi Arabian character. In fact, I can’t think of any other characters in any other fighting games explicitly from the Kingdom. That alone is a good start; I believe that games best serve the global community by representing all cultures and people, and it’s a very positive thing that there’s a Saudi Arabian hero in a game. Additionally, perhaps because the development team was acutely aware that there would be sensitivities around how the character is portrayed, he’s less of a ridiculous character than most of the other Tekken characters. For the most part, Shaheen is just a really good fighter, and the relative restraint hits the right spot for me. As for the game itself: since I haven't seen the arcade game in action, I can’t compare, but there seems to be a fuzziness about some of the costumes and textures. I noticed this most with Alisa’s costume. It’s still a really good looking game, but again, I’ve got to say I prefer the aesthetics of Dead or Alive. While I’m certainly not an expert with Tekken, I do get the impression that the combat system is, by small iterations, an improvement on its predecessors. It feels slightly more fluid and dynamic, but otherwise, I can only assume that Tekken fans will continue to enjoy the systems that the Tekken team have developed over many years now. As to whether this will all be accessible to less experienced fighting game players… I’d be surprised if it turns out to be. Tekken’s generally the end point in a fighting game addiction. It’s not the gateway drug.